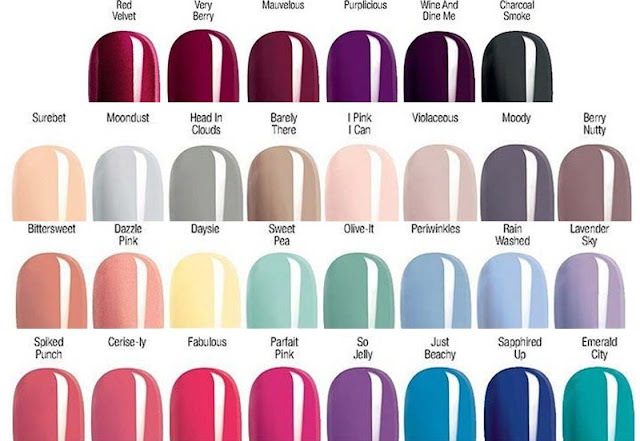 The mark Gel Shine nail polishes were introduced in the UK in Brochure 7 and there 30 fashionable shades, everything you need from neutrals, to bold & bright, subtle & chic. The Mark nail enamels are in the current Brochure 9 at £3.50, and will be 2 for £6 in Brochure 10, which is a jolly good price for a gel effect nail polish. The two shades I've picked for today's post is Parfait Pink and Very Berry. All swatches are 2 coats without top coat to show you how glossy they are. Both regular nail polishes with a gel effect shine.